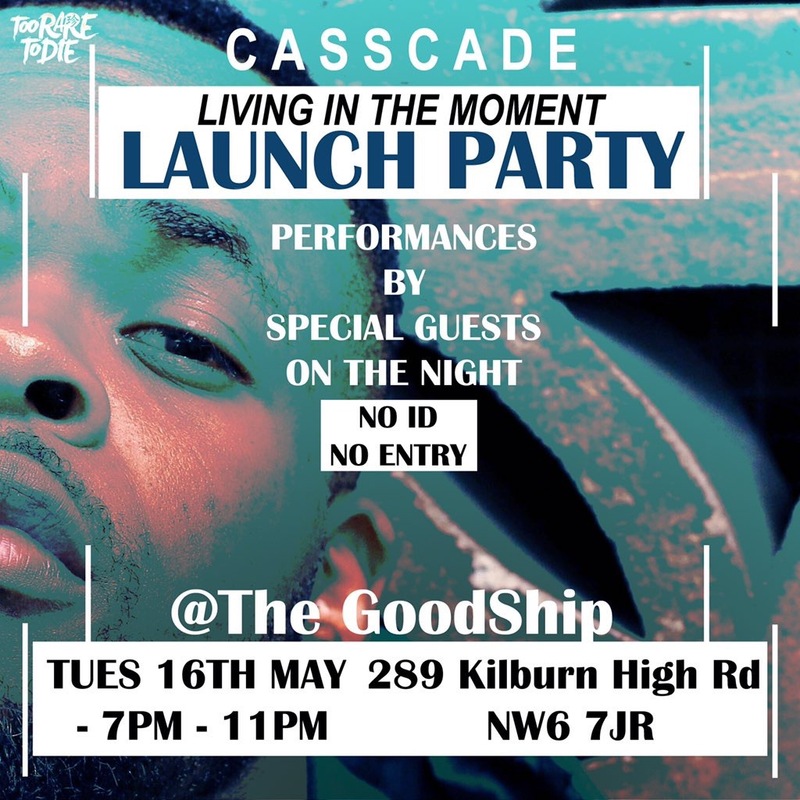 London based multi-talented rapper and rising star Casscade invites you to join him on Tuesday, May 16 for his epic launch party for his forthcoming new project titled Living in the Moment, taking place at The Goodship, London. The night will debut tracks off of his forthcoming EP, as well as showcase some of London’s current emerging music artists that are ones to watch right now in the music scene. This event is guest list only, if you’d like to attend please follow Casscade on Twitter here for regular entry updates and requirements.